Tifa is the childhood friend of Cloud Strife, who is the protagonist of one of the most famous RPGs of all time, Final Fantasy VII. Tifa convinces Cloud Strife to join the eco-terrorist group AVALANCHE and later assists him in saving the planet from the game’s villain, Sephiroth. 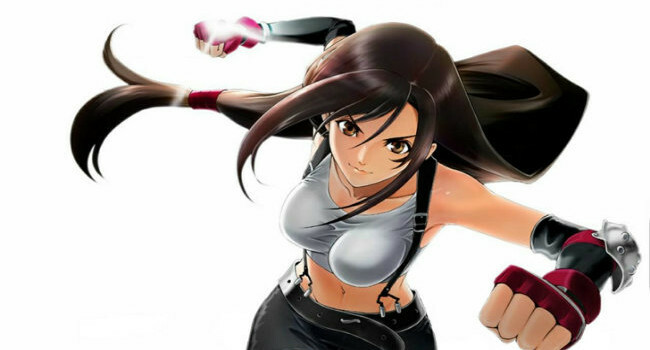 Tifa is one of video game’s most prominent female characters as she is a strong and independent, often being compared to Lara Croft. The media has described her as one of the best female characters in gaming. 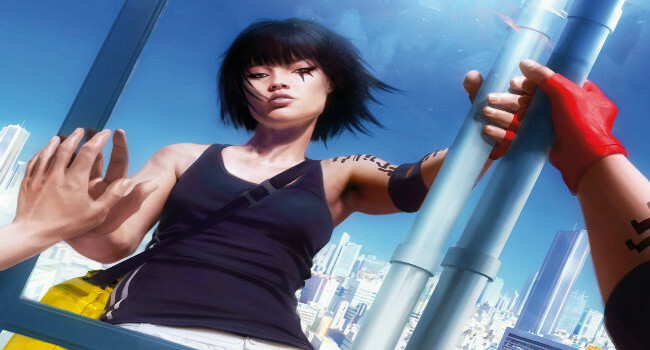 Faith is the main character in the game Mirror’s Edge. The game is set in a futuristic dystopian society, in which a network of ‘Runners’, including Faith, are used as couriers to transmit messages while evading government surveillance. When she was young, her parents were killed while protesting government plans, forcing Faith to grow up on the street. She eventually meets Mercury, a Runner who recognizes Faith’s potential and becomes her mentor. He teaches Faith how to survive in the city, a world where obedience is brutally enforced and any deviance is relegated to the edge of society. Introduced in the first Final Fight, Poison is one of the few characters from the Capcom series to move on to a minor role in the popular fighter game, Street Fighter. She has since appeared in later artworks and cross-over games and is notably one of the top female characters in video game history. Dante has been a staple in the Devil May Cry series and damn, does he make being a demon look good. His wit and charm is undeniable, and you can usually find him cursing out fellow members of the underworld, or lodging a slew of bullets into other supernatural forces. Crimson Viper, also known as Maya, is definitely one of video game’s sexiest females. She wears the suit because she’s a secret agent under the employment of a U.S. government agency. But don’t let her beauty fool you – she conceals weapons in her boots and her gloves are electrically charged, making her a deadly threat. Sakura Kasugano is a Japanese schoolgirl in the famous fighting game, Street Fighter. Fascinated by Ryu from the same series, she studies his combat and picks up his fighting style, making her one of the top females in the popular game produced by Capcom. Catherine is just your average 22-year-old spawn of Satan. What? That’s normal right? She made her debut in Atlus’ video game of the same name. Her sole purpose is to tempt men and get them to become unfaithful, so she can ultimately kill them. My type of girl. The hardest part of this costume is her trademark spiral hairstyle which can be completed with some wire work or a lot of hair gel and hairspray. Being a succubus never looked so good! Elizabeth is a 21-year-old woman who has been imprisoned in a town called Columbia since she was five years old. BioShock Infinite, the new game developed by Irrational Games, centers around a private investigator, Booker DeWitt, on a mission to retrieve Elizabeth from the flying city and save her from her captor: a monstrous, winged creature called the Songbird. Mega Man is a pretty cool dude. Before he was Mega Man he was originally known as Rock, a lab assistant. After volunteering to be transformed into a fighting robot, he set out on a mission to battle the mad scientist, Dr. Wily and stop him from taking over the planet. When most people hear ‘The Duke’ they might think of a posh gentleman who drinks tea and plays polo. Well, this ain’t England. Duke is a smart-mouthed, wise cracking ladies’ man sent by the CIA to save the planet. And he does it all with a cigar in his mouth. No big deal.